The Tecnovideo WP10EX Washer System is designed specifically for Hazardous Area applications. 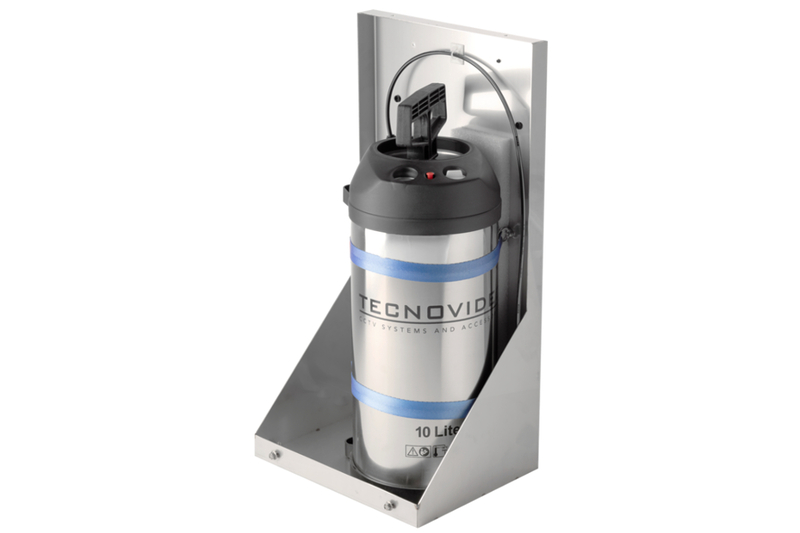 It is composed by a 10 litre reservoir together with an explosion proof solenoid valve, contained inside a stainless steel cabinet. The airtight reservoir is pressurized using an hand pump. After the tank is charged, the liquid is released by activating the explosion proof solenoid valve. The WP10EX pressurized tank is a high performance washer system, with high quality fittings and components designed to withstand tough use in harsh environment installations. The WP10EX is designed to be used with Tecnovideo products as well as with third party products.